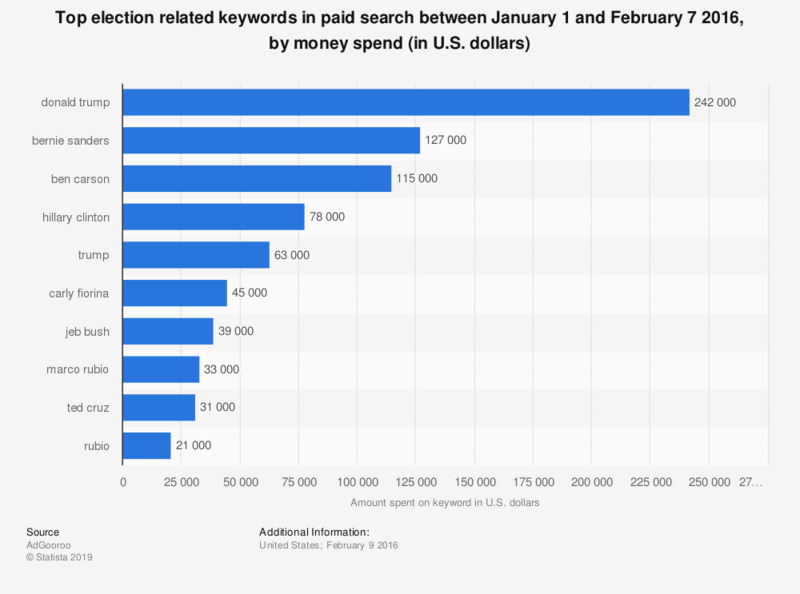 This statistic shows the top 10 keywords paid search advertisers spent on between January 1st and February 7th 2016 in relation to the 2016 U.S. presidential election. The most popular paid search keyword was 'donald trump' with a total spend of 242,000 U.S. dollars. Data is based on U.S. Google desktop spending from a cohort of 36 candidate and election related keywords. Spending on keywords is from all sources, not only that of the candidates campaign.